Good posture requires a person to maintain the alignment of certain body parts; poor posture is often acknowledged as a cause of musculoskeletal pain, joint restriction or general discomfort. Protraction of the scapulae often accompanies poor posture in which the rhomboids and the lower fibers of the trapezius are lengthened and weak bilaterally. 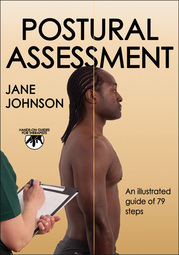 Postural Assessment offers students and practitioners of massage therapy, physical therapy, osteopathy, chiropractic, sports medicine, athletic training, and fitness instruction a guide to determining muscular or fascial imbalance and whether that imbalance contributes to pain or dysfunction.